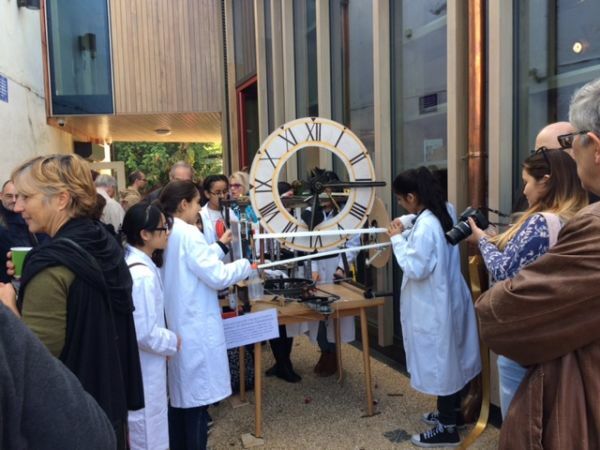 The Children’s Laureate Michael Rosen used a Heath Robinson contraption to cut the ribbon when he opened the Heath Robinson Museum in Pinner. Michael Rosen gave the main speech at the opening of the Heath Robinson Museum on 15th October before using a contraption built by a local girls’ school to cut the ribbon. He recounted his childhood exploits as a local Pinner lad and described his early connections with Heath Robinson. Now Patron of the Heath Robinson Museum, he said he was over the moon for about ten different reasons to see a special place dedicated to Heath Robinson’s work. People might demote him, using words like cartoonist to describe how he drew, but he documented an era and looking across his work is as powerful and important as looking at a history book or reading a novel or indeed looking at great paintings. For more about the museum opening, turn to our Blog. For details of our forthcoming book Very Heath Robinson, please visit our book description page.